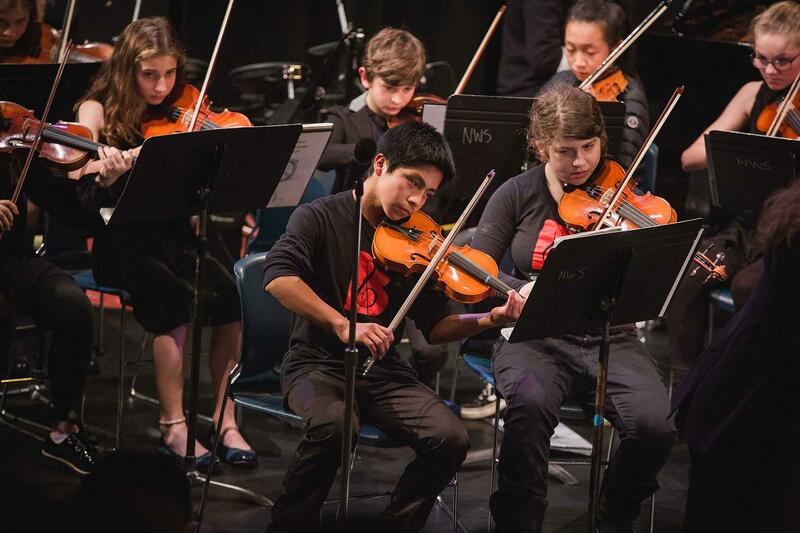 Nearly half the student body delighted a packed audience during the Fall Music Concert at the Langston Hughes Performing Arts Institute, on Wednesday, Nov. 14. 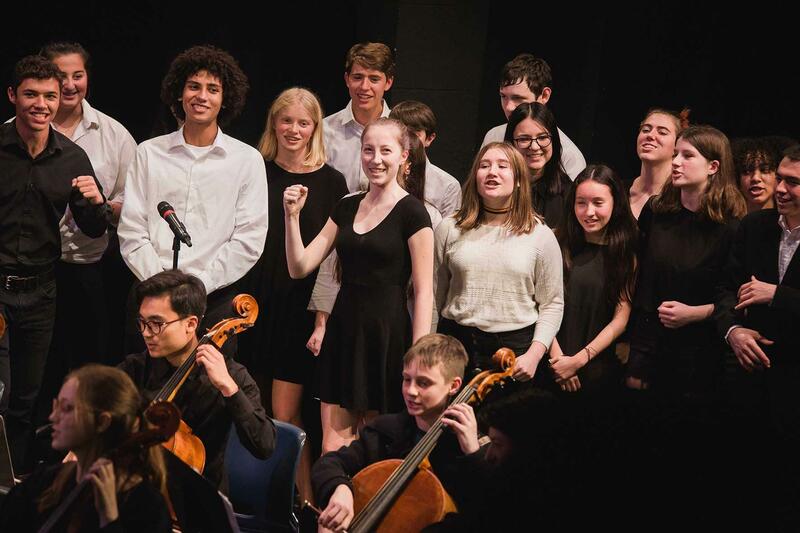 The night of music featured performances by the school’s three bands, three orchestras, and three choirs from both Middle and Upper School. A highlight of the evening was a sneak preview of this year’s winter musical production of Newsies. 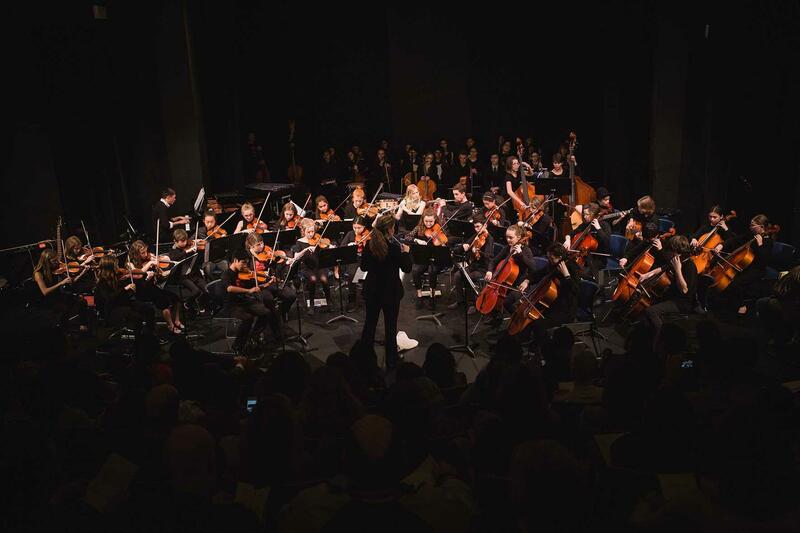 The Musical Theatre Orchestra and Newsies cast performed “King of New York” and “Seize the Day,” providing a glimpse of the upcoming play performance in December. The jazz band delivered a toe-tapping rendition of the Sesame Street theme, alongside more classic jazz songs such as “Manhã de Carnaval,” by Luiz Bonfá, and “Doxy,” by Sonny Rollins. 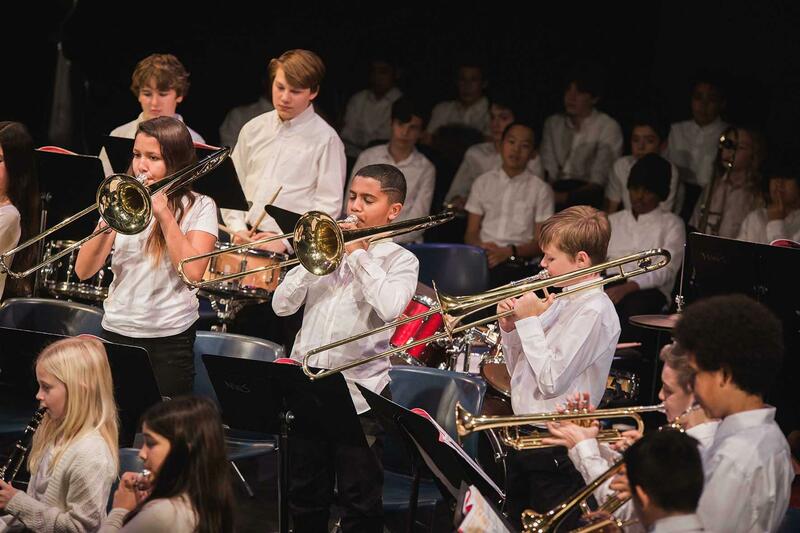 The Middle School band sent the audience down memory lane with highlights from Mary Poppins. The 9-10 choir sang a modern pop hit, “Fight Song,” by Rachel Platten. 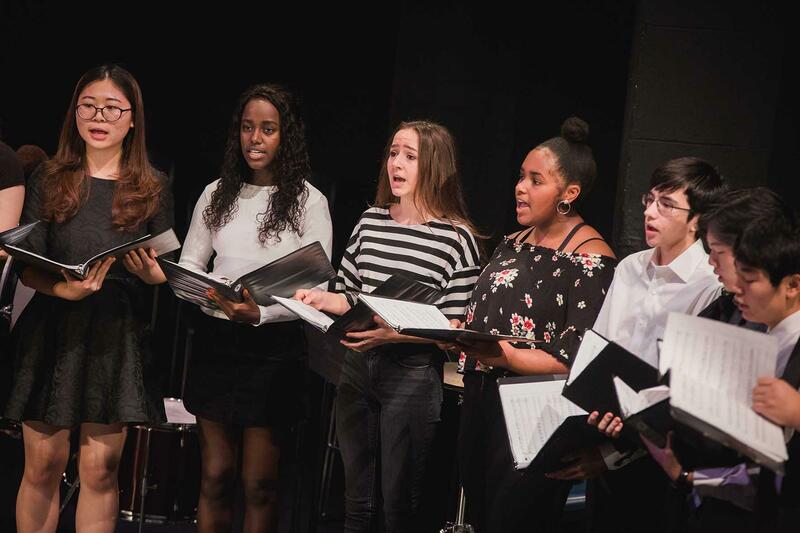 The 10-12 choir continued the pop trend, singing “How Far I’ll Go,” by Auli’l Cravalho, from the Moana soundtrack, and “One Call Away,” by Charlie Puth. The Middle School choir contributed a global touch, performing “Como La Flor,” by Selena. See below from more photos of the performance.